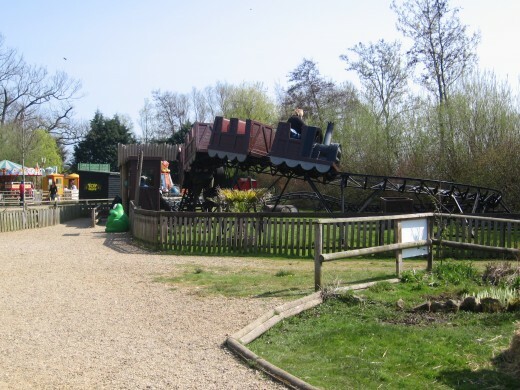 It must have been around twenty five years or more since I first visited Pettitts Animal Adventure Park. It was brand new, then, and I was just a child. Pettitts was nothing but a few animals grazing in grassy enclosures - at least, that is how I remember it. We took the Reedham Ferry to get there; a short crossing on a very basic 'wooden raft' that enables cars to get across the river. With the unrelenting impatience of youth, it felt as though we waited ages. In the main part, that's all I can recall about the day. Today, Pettitts has changed beyond all recognition. 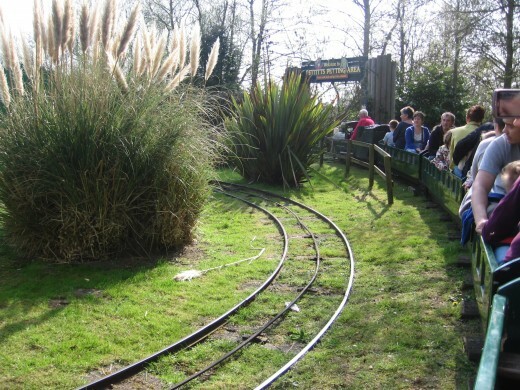 Set in beautifully kept grounds, it now has rides as well as animals. 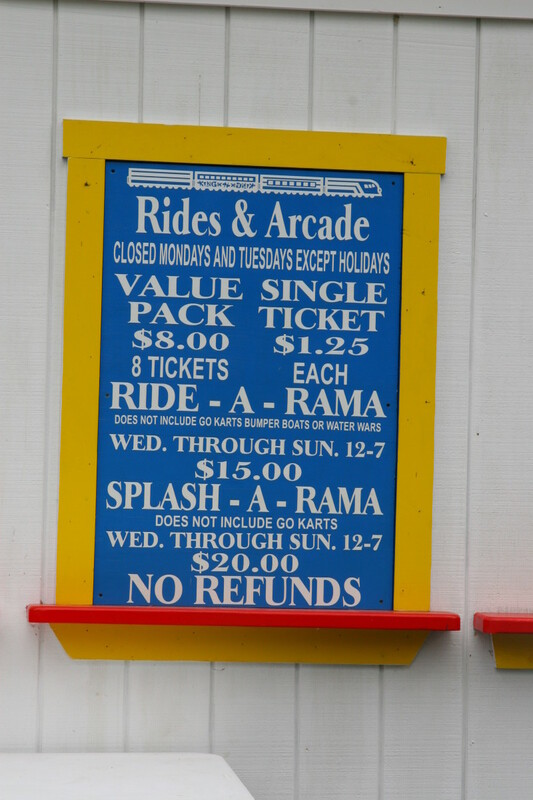 In fact, the rides are probably its greatest draw, plus the fact that they are all geared towards the younger child. That's right. So many leisure parks are geared towards older brothers and sisters, with just a tiny section suitable for the little ones. Not so at Pettitts. 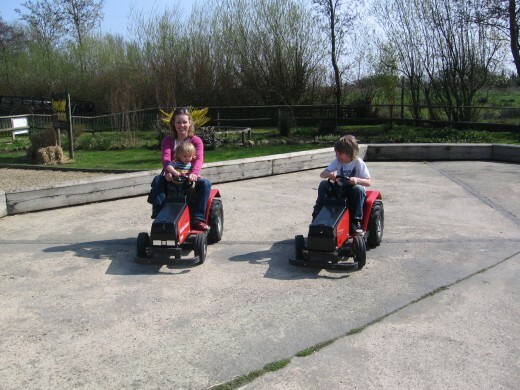 Pettitts Animal Adventure Park is most suitable for smaller children, and nobody is too young. 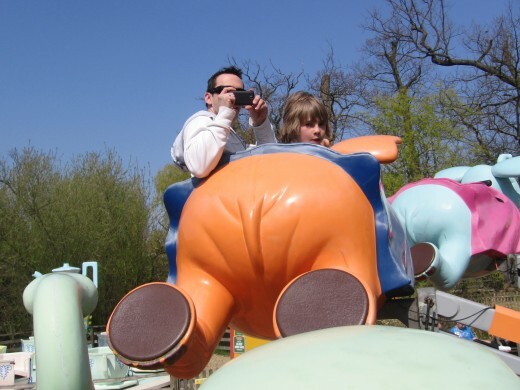 There are flying elephants; Toad's (of Toad Hall) Cars; a tiny rollercoaster (my two year old loved it); the cups and saucers, two trains and a roundabout. 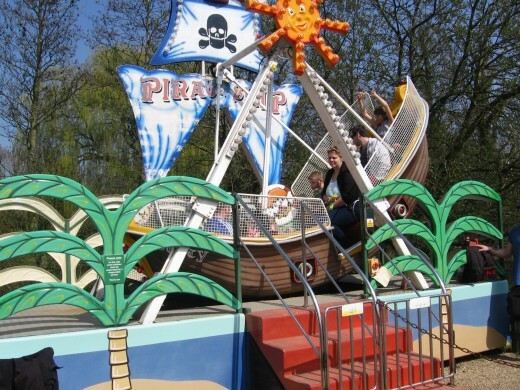 Oh, and a mini pirate ship - the kind that swings back and forth. The only rule is that very young children have to be supervised. No more 'can't do this, can't do that.' 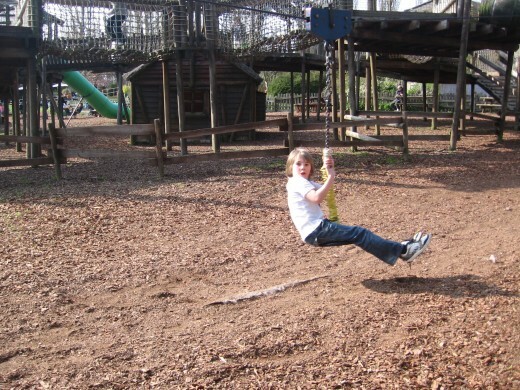 At Pettitts Animal Adventure Park, the little ones can pretty much do everything and it is the older ones who are left trailing behind. With Dad on the Giant Slide! Aside from the rides, my little boy loved the slides. 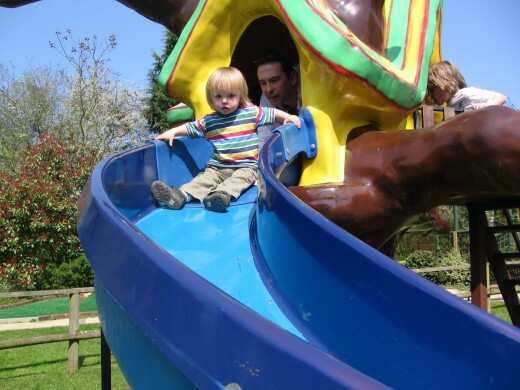 There are a few of them - the quaint tree-house slide and the giant slide were both firm favourites. Even my almost-ten-year-old, who usually prefers a bit more action, liked the giant slide. But then, like the lady on the cash desk advised, the big ones tend to get caught up in what the little ones are doing and find they have fun anyway. With the giant slide you ride with a mat - our youngest sat with his dad and raced his big brother, beaming with excitement all the way down! 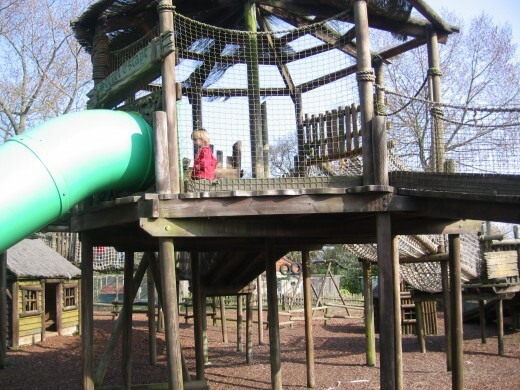 The Robin Hood Adventure Playground was a big hit with both our children. Our youngest discovered the 'tunnel' slides - even though they are quite high up, young children can reach them easily. It is very safe and you can go up there with them if you want. 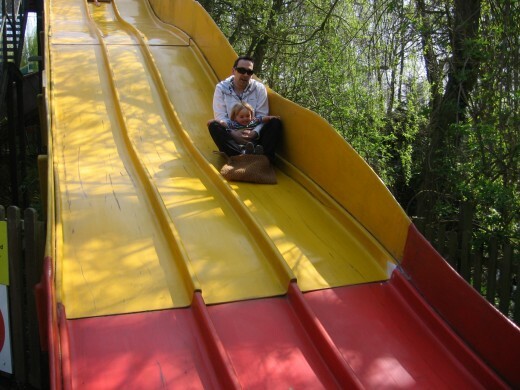 Beware, though - coming down a tunnel slide is never quite the same once you reach adulthood! I went down fast and landed with a jolt, but it's still a lot of fun. A tiny boy ready for a great big slide! Our oldest son will be ten next month - that's what I mean by a 'big' brother. 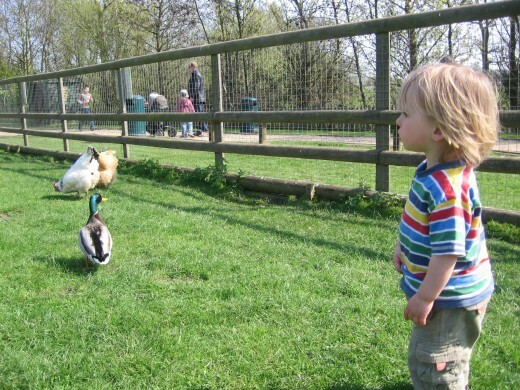 When he was small, a long time before we had our little one, we used to take him to Pettitts quite regularly. I recall the last time we took him was when we was about three or four. 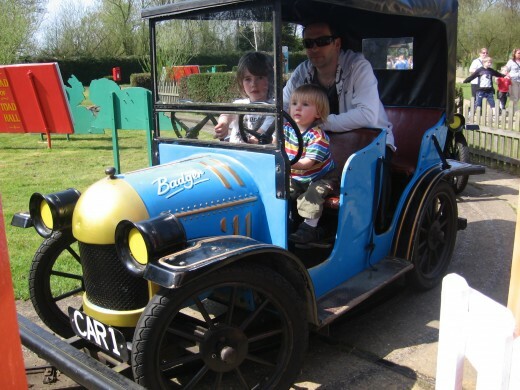 Pettitts is ideal for children of that age, and perhaps even a big bigger. Ten-year-olds, though, have moved on to other things. But you can still take them, and they'll still have fun, as our day proved. 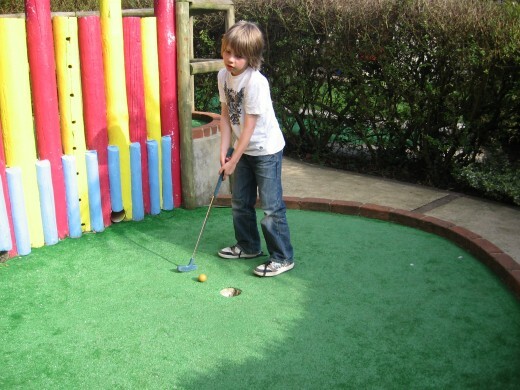 Pettitts also has a great little crazy golf course - you can hire the clubs and balls from the gift shop. It is free to play, but there is a £1 refundable deposit for the balls. My older son loves crazy golf, so he was in his element playing with me while his brother had umpteen goes on the slide. We went round twice - I won the first game and he won the second, so we're quits! At the far end of the park is the Petting Area. You can purchase small bags of feed to give to the goats. 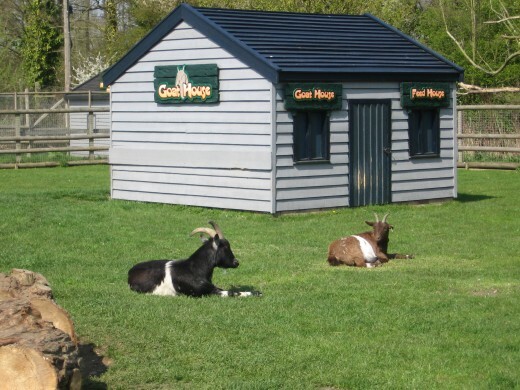 The goats and hens wander freely in the walk-through enclosure - the goats are very tame and definitely do not shy away from visitors. In fact, one of the goats tried to eat our little boy's t-shirt - he was absolutely horrified, while his big brother decided it was the funniest thing he had ever seen! Don't be put off, he wasn't in any danger, but goats do like to nibble on things and, after all, this is Norfolk - a farming county! It all adds to the fun. 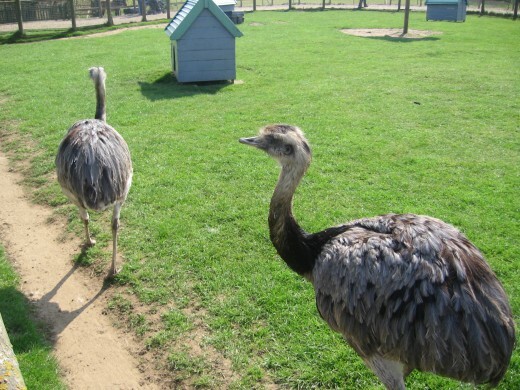 You can also see horses, alpacas and ostriches in the farmyard area. In separate enclosures elsewhere in the park, Pettitts has monkeys, racoons, lemurs, parrots and owls. There is a reptile house as well, though we didn't end up going inside. When you've been on the rides and watched your children run their energy off in the adventure playground, you can enjoy a well deserved rest in the covered theatre. There are several shows per day, performed by in-house entertainer Bubbly Bingo the Clown. Lots of fun guaranteed! 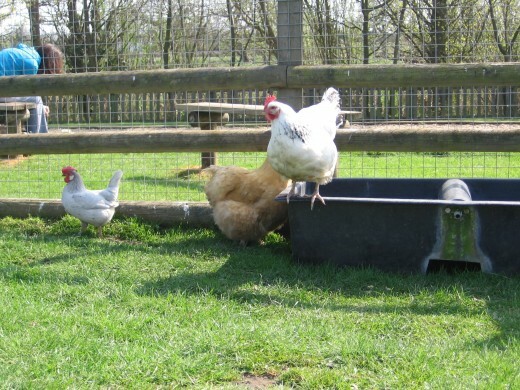 Pettitts Animal Adventure Park is located in the rural village of Reedham, Norfolk. You can find it off the A47 between Norwich and Great Yarmouth. From Acle, follow the brown signs. 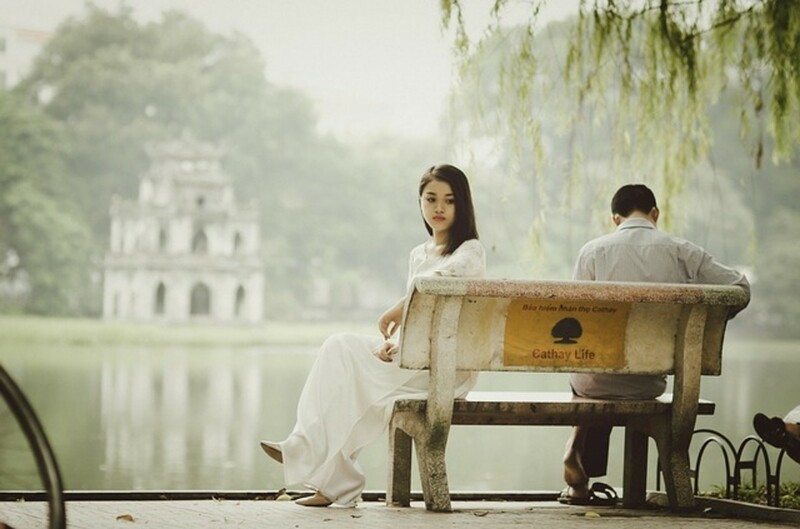 Hi samboiam, thank you for reading and commenting. Yes,travelling from an armchair is great - though it always starts me off thinking about the real thing! 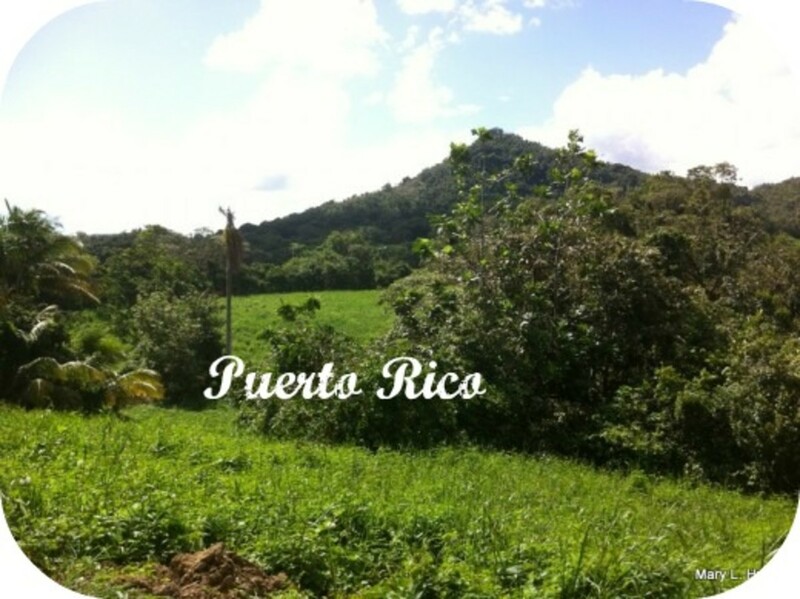 That looks like such a wonderful place. Thanks for sharing this with us. I love to travel from my armchair. LOVELY Hub--I just adored the animal zoo. I have an attraction to goats, and often visit a local goat petting Zoo called Oak Glen. What a great idea to have a park for very young children. 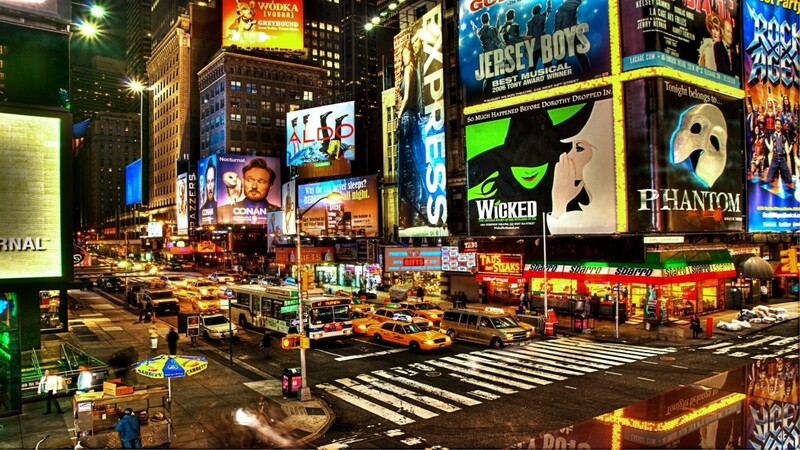 Looks a great family place to visit. Specially good for the little ones, as you say. Thank you wrenfrost - I'm planning to do several more hubs on Norfolk, when I'm out with my camera this summer! Great hub Polly, I liked the way you described pettitts animal park and I would like to see the toads of toad hall. Cool pictures too, really brought it to life. scarytaff, it has definitely changed a lot and there are probably several new places around here since you moved. Thanks for reading!